Where? 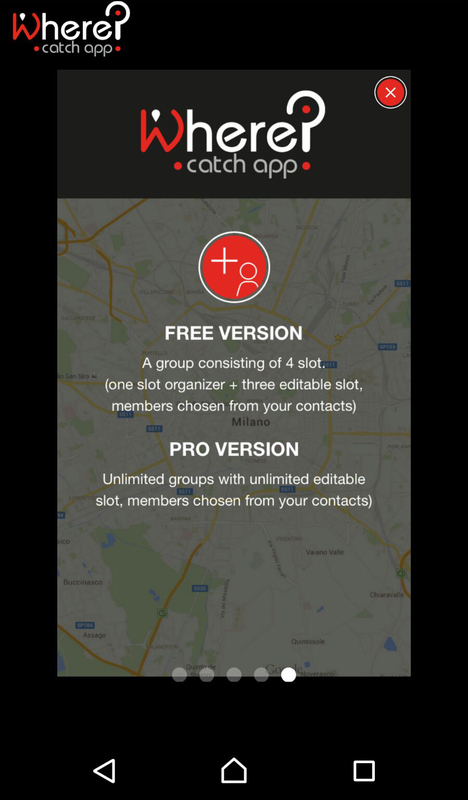 ·catch app· is a mobile application which enables the users to organize meetings and gatherings with their contacts on the phone. The user subscribes on the App with their telephone number and authorizes the program to have access to the user’s contacts. The organizer needs to be registered on the App, the other participants do not necessarily. The organizer selects the members from the contacts list, Where? ·catch app· takes their addresses, finds the most convenient meeting point for everybody and shows it on the map (Google Maps). If the address of one participant is not on the list, Where? 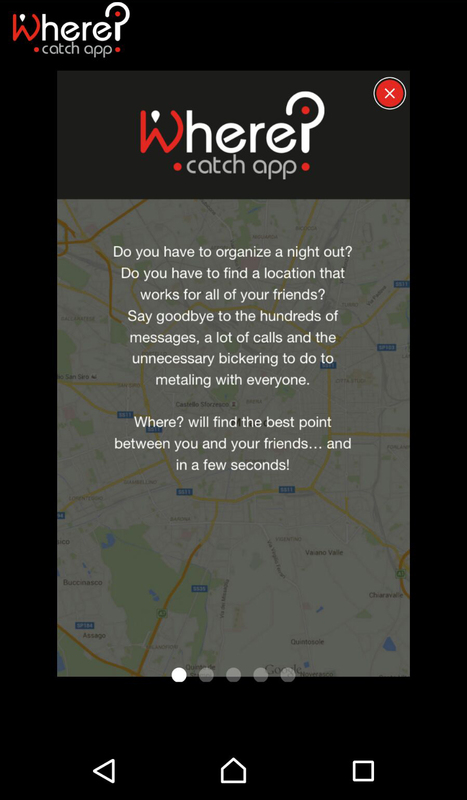 ·catch app· asks the organizer to add it. If the participant has a Where? ·catch app· account, their position is automatically identified. Where? ·catch app· geolocalises continuously its users upon users acceptance. 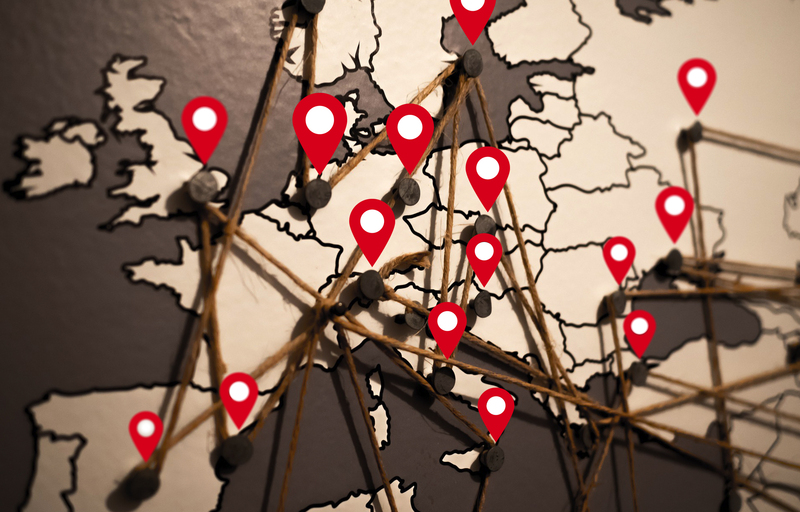 The organizer can also choose to be geolocalised before starting the research of the meeting point. Using Google database, the App shows the organizer different options (theatres, cinemas, bars, restaurants and other places of interest which are in the area of the meeting point). This websites presents the lists of found items without any interactive functionality (reservation/direct contact). Tha App in available in two versions: the Free version with limited functionalities and the Pro version with full functionalities.